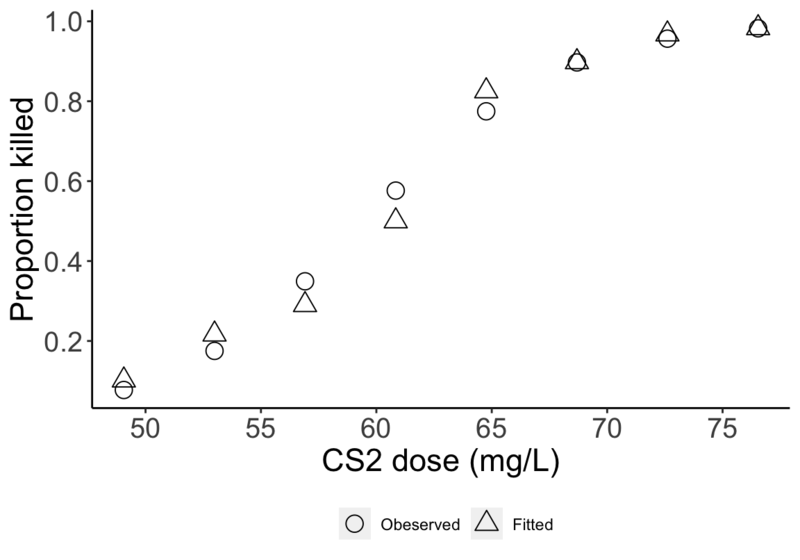 圖 45.1: Scatter plot of CS2 dose and proportion killed. 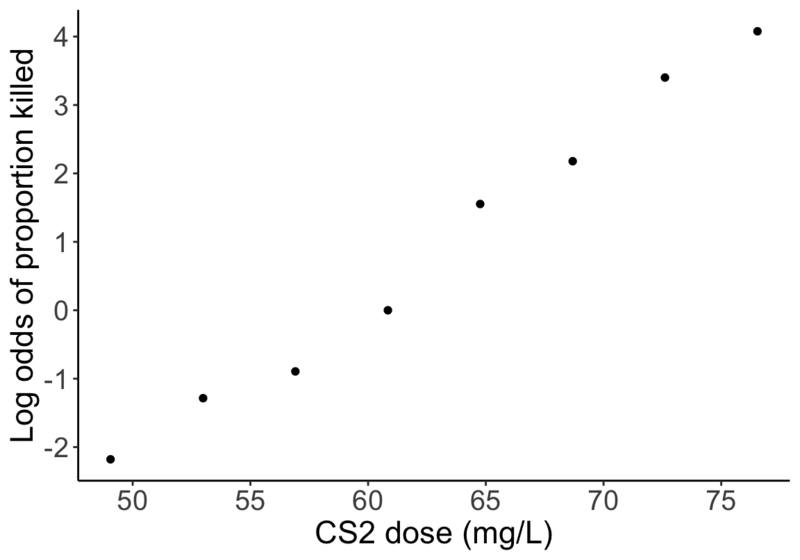 圖 45.2: Scatter plot of CS2 dose and log-odds of proportion killed. 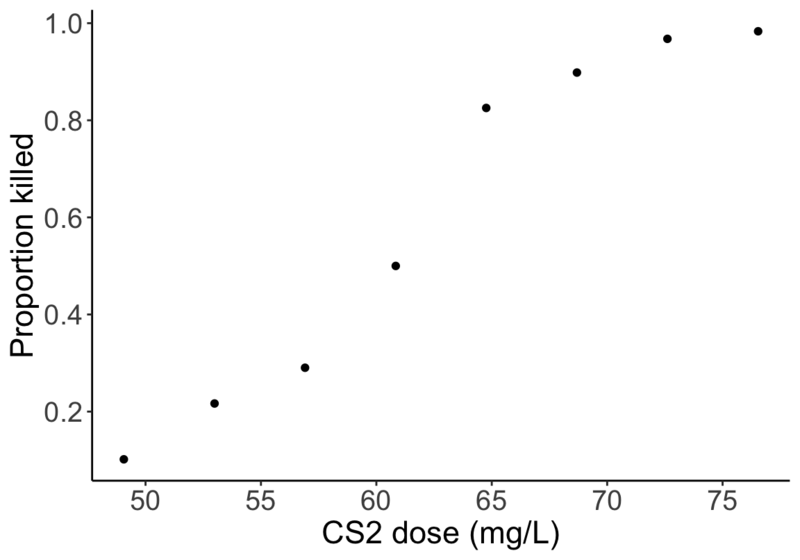 本數據中，隨機變量是每組昆蟲中死亡的個數。用 \(Y_i\) 標記第 \(i\) 組昆蟲中死亡昆蟲數量，\(d_i\) 表示第 \(i\) 組昆蟲被暴露的二硫化碳濃度。對於所有的廣義線性回歸模型來說，它都由三個部分組成: 1) 反應量分布 the response distribution; 2) 鏈接方程 link function; 3) 線性預測方程 linear predictor. 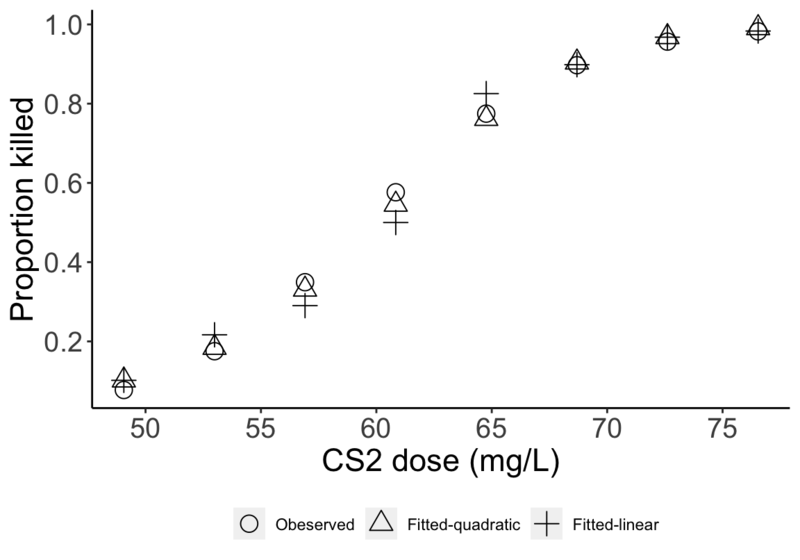 圖 45.3: Observed (circles) and fitted (triangles) proportions are generally similar, with differences greatest in the third and fourth dose groups.